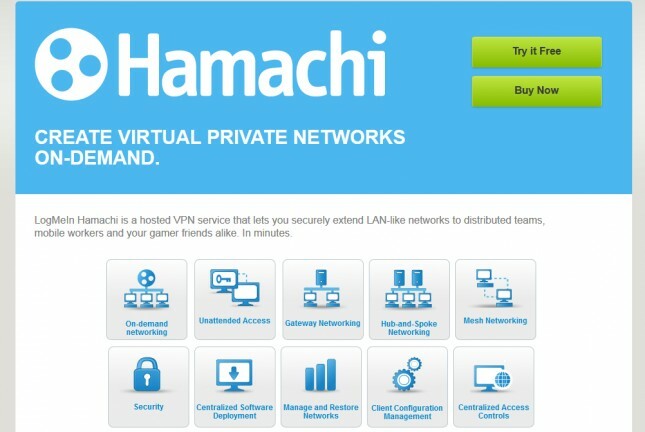 Hamachi is a great choice for small businesses that want to setup a VPN. There is a free version that is good for smaller groups, but if users want to do things on a larger scale, this could be a challenge. It should also be kept in mind that users must have the paid option for granular management. Hamachi is not a cloud-based remote access service, but it is a true VPN client. It uses a secure connection for the transfer of data via the Internet and is an on-demand virtual networking service. This means it is a real VPN solution and there is no requirement for the user to setup a VPN server onsite. Hamachi is also closed and proprietary. There are two free versions of Hamachi available for download: the managed version and the unmanaged version. The unmanaged version will let the user create an on-the-fly mesh network VPN where each client is able to connect to the other with neither client managing the connection traffic. On the other hand, managed Hamachi lets the user create the mesh network VPN and a hub-and-spoke network configuration. In the hub-and-spoke network configuration, each client is connected to the designated client, which manages the connection traffic. Users can also setup a gateway VPN, which is a simpler configuration connecting two separate networks by means of a VPN connection. Is Hamachi a Good Choice? Looking over the information pertaining to the various features and uses of Hamachi, this program has its pros and its cons. The pros are that it is a free to use program that offers features to its users that they would otherwise be charged for. There are upgraded versions available that would allow users to choose an upgraded paid version to fit their needs. The free version of Hamachi is a great choice when small businesses are just starting out and need the service but do not have VPN programs and service in the budget. As the business grows, the budget will come and the choice can be made to change programs. Hamachi is an efficient, quick VPN that requires public RSA keys that are issued to all clients for their own security. It supports compression, encryption and even an easy to customize chat feature. Any person or business that needs a VPN that is considerably easy to use does not require an onsite server and has the ability to upgrade in the future should at least take a look at Hamachi.